Widely crowned as the queen of hills in the Southern part of India, Ooty is nestled deep in the Nilgiri Hills. Apart from being a hub of the manufacture of medicines and photographic film, it is the reason behind how beautiful some Bollywood movies look. Remember the song Chaiyya Chaiyya where Shah Rukh Khan danced on air? (Or was that a train?) The song was shot on the top of a train from Ooty, without the use of any safety harness by the actor. A 2009 release, this movie's scenes had a classic character because of its locations. Be it the clean Pykara Lake or the heritage buildings, you can get a glimpse of it all in this movie. Directed by Anurag Basu, this movie had elements of the bygone era of the 1970s. It has scenes and songs shot in the brown earthy pine forests amidst misty clouds which give it a unique characteristic. If you were born in the 90s, there are huge chances that once upon a time, you used to love this movie. And if you're like me, this movie is still one of your favorites. Interestingly, the Shimla summer camp in this movie was actually Wenlock Downs in Ooty. And you thought it was really Shimla! The shots of this drama movie have been filmed at various places, mostly the southern part of India. The scene where Beera and Ragini are in the forest and Ragini accepts her captivity. Those long-trunked trees in the forest are in Ooty and it's quite popular amongst tourists. It has been over 20 years since this laugh riot cracked us up for the first time. Who can forget the bromance between the Khan duo and the determination of Crime Master Gogo? Interestingly, several shots of this movie have been shot in Ooty. Hum Aapke Hain Koun was one of those movies which changed how we saw cinema. This family saga is considered to be legendary because it was entertaining as well as one could watch it with the whole family. Released in 1994, we can still spot it on our television sets. Several shots of the movie were shot in Ooty. This intense drama love story has been declared as an All time blockbuster. Being the sixth highest grossing Hindi film of the 90s decade, some scenes of the movie were shot at Wenlock Downs 9th Mile Shooting Medu in Ooty. We all know the gist of this movie. A guy meets a girl and then a love story blooms. A major part of the movie was shot in Ooty. 'Kabootar Ja' was shot in the Botanical Gardens of Ooty, 'Dil Deewana' has a shot of them boating on the Ooty Lake and the boathouse. Be it Pehla Nasha or the adventurous marathon cycle race, this movie kept us hooked throughout. Who didn't want a school like that? A major part of this movie was shot in Ooty. Pehla Nasha was shot in the Western Catchment area of Ooty and The Rajput College was actually the Lawrence School in Lovedale, Ooty. Looks like director Mani Ratnam is really fond of Ooty. The scene where Roja and Rishi reunite was shot at Kamraj Sagar Dam in Ooty and some parts of the movie are also shot at Wellington. Neil Nitin Mukesh starrer David was positively received at the box office. It might be surprising to know that the scene where David shoots the traitor in the movie was filmed around the backdrop of exceptionally dense rows of Pine trees at the Pine forest in Ooty. 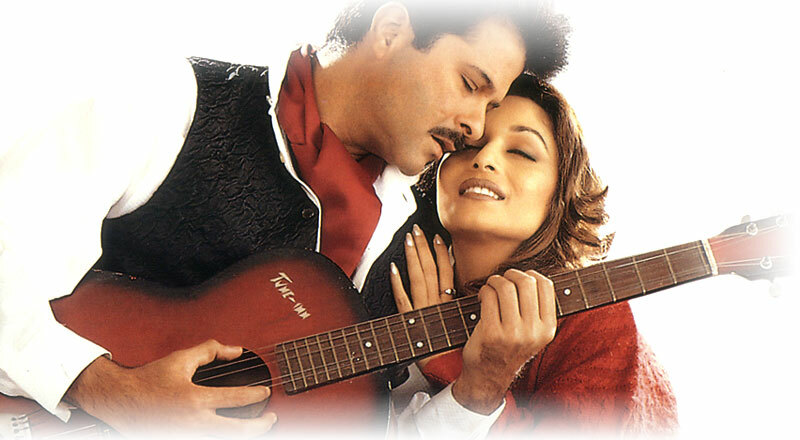 Also considered as a neo-noir and political thriller movie, Pukar had Anil Kapoor and Madhuri Dixit working well for it. The beautiful locations of Ooty contributed to the good-looks of the movie. The next time you watch the movie, don't forget to locate Wellington and The Ooty Lake. This romantic action starring Rishi Kapoor, Divya Bharti and Shah Rukh Khan was a Blockbuster with an earning of ₹ 170 million. We all remember the song Aisi Deewangi from this movie but did you know that the song was shot in Ooty? It was shot at Wenlock Downs Ninth Mile. Another song Teri Umeed was shot at the Pine forests and the Botanical gardens in Ooty. 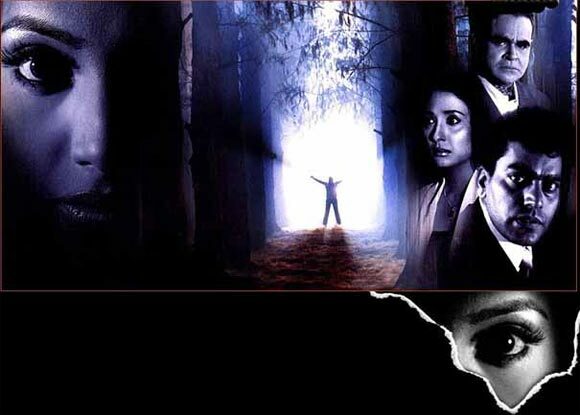 Misty clouds touching the haunted house on the mountain - Directed by Vikram Bhatt, Raaz was a horror movie and it had its location working really well for its theme. One can easily spot the pine trees from Ooty in the movie. Well, who knew all this was filmed in Ooty? The next time you're there, don't shy away from posing in Bollywood style. Also, do check out our Zostel in Ooty.